It is a very cheap and simple way to build your own fully functional computer. It's all through-hole components, so as long as you know which end of a soldering iron to hold you can build it! 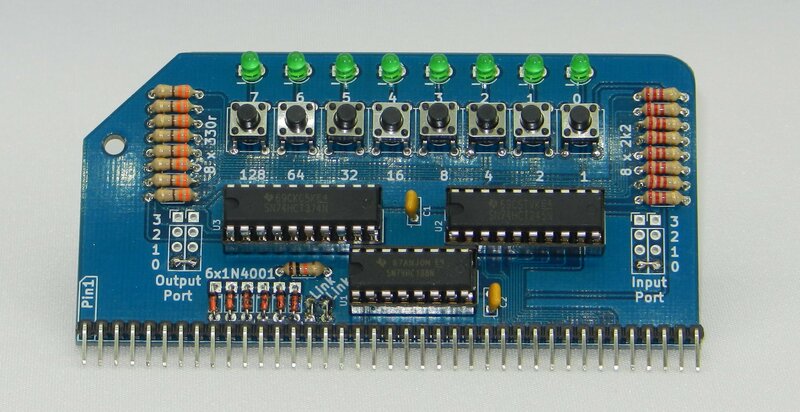 The back-plane is standard Veroboard (Stripboard) with 40 pin 0.1" headers so it is easily expanded and modified. It runs at 5V and can be powered off of a standard FTDI cable. Microsoft BASIC will run quite happily from ROM, making it very quick to get things up and running. The Serial I/O can either run 5v TTL logic level (ideal for an FTDI cable, or interfacing to an Arduino or similar), or can be fitted with a MAX232 and 9 pin D socket for use with regular RS232 devices. Barebone - Includes 5 basic PCBs only; CPU, ROM, RAM, Clock/Reset and Serial I/O. Full Monty - Includes everything you need to build a RC2014 with TTL Serial I/O, including all PCBs, ICs, sockets, 5 headers, backplane and passive components. 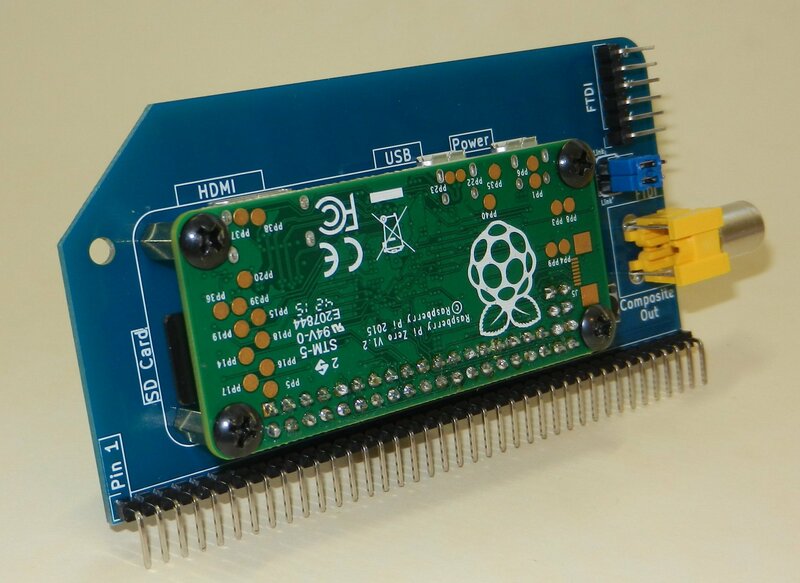 The Full Monty includes everything you need to get up and running, however, individual modules, including optional extras such as Digital I/O boards and Raspberry Pi Zero Serial Terminal adapters are available amongst my other product listings. Note on sourcing components - Unless you are buying the Full Monty, you will need to supply your own components. Almost everything you need is still stocked by the big component retailers (RS, Digikey, Mouser, Element 14 etc), however, a couple of items you may be able to raid your parts box or eBay for. Like the Z80 CPU, for example. Or the 68B50 ACIA. However, the components listed on the Bill of Materials are just suggested values, and most can be swapped with similar items you may have handy. So, if you don't have a 68B50, but have a 6850 lying around, you can use this as long as you half the clock speed. The Stripboard back-plane needs to be a minimum of 34 strips for the RC2014 to work, but 36 strips will present the Tx and Rx lines, and 40 strips will give you the option of carrying other signals or voltages if you wish. Great service from Tindie. Arrived on time and as expected. Clear instructions, was a fun project to put together. I'm still adding to it now. Great educational experience. Would recommend to anyone interested in building their own computer kit. I have had a great time building and extending this kit and am now back playing with CPM like it was the 1980's. The kit is well made and the instructions are sufficient to get it running with ease. When extended to support CPM you do have to actually read the instruction to ensure you do not end up going around in circles. My biggest issue was forgetting the ERA command !! I like this kit. I like the design. Good quality pcbs & components. Good packaging. I got this for my girl friend as a first computer build digital electronics experience. It is wonderful kit. She has just got the clock module finished. The backplane is what she started with and by the time she was through the first 200 or so connections was soldering like a boss. In the documentation all I would have changed would be to say something about putting the sockets in with the notches facing the screen printing orientation and maybe a little (+) on the led screen printing on the backplane. Neither of these caused problems though and so far the whole thing is going great. Would definitely recommend ! Pacchetto piccolissimo confezionato al meglio. Prodotto che avevo già visionato al Maker Fire di Roma, come da aspettative. Documentazione allegata minima ma si trova tutto online. Very happy with the RC2014; great kit! Received the RC2014 full-monty kit neatly packaged in a small box. Everything was included. Clear instructions on a printed leaflet but used the PDF from the website since it has the actual color codes. Was able to put it together in a few days, had a blast working on it. Lot's of soldering though! So all-in-all a great kit; especially the fact that all components are on their own separate board. The backplane als make it very nice to see what is going on and how the components communicate. Also the fact that there is a nice ecosystem with different community members making extension boards & howto's etc makes this a great choice. Started with small basic programs, now testing with C programs using z88dk via the hexloader. Looking forward to more experimenting with it! Well after being put to together by an electronic engineering tech of over 25+ years and having the all the jumpers in place with the ftdi cable correctly installed. Usage is pretty straightforward, even if you only have basics in electronics. Building it does not take a huge amount of time if you have some soldering experience (it is still very simple). For anyone interested in old computers and electronics, it is very nice and quite satisfying to get it up and running (at least for my part). The only thing is that the documentation, though well written, can lack some precisions on certain points. But this is not a big issue, you still can figure it out with a bit of research, and I can have missed something. Overall this is product is simply awesome, I am still experimenting with it and I think I will for quite some time. Delivery was fast and it was well packed. I just recommend it. It appears to be a great product, still working on it. I had built 2 Z80 systems in the 70's and decided I wanted to build another. Your product was the best I looked at. So far the projects going well. Almost easy to mount (I had to read twice as my english wasn't good enough). I bought this kit to have once in my life built a computer ... and this worked out pretty well. Now I am at the stage of trying to understand everything so well, that I could build this kind of computer on my own, but this is far more complicated, than I thought. Meanwhile I tune the rc2014 with the offered options, like the paged ROM and RAM modules. Together with the CF-Card option cp/m works flawlessly. The soldering was easy, except the above mentioned CF module, which was a bit harder, since the holder is a surface mounted part. But nothing to worry about, when I succeed, you will, too. I would buy it again and recommend it to everyone, who wants to learn, how a computer works. It has been a long time since I've done any electronics so I was a bit apprehensive about getting this at first. I ended up biting the bullet and it was worth every cent. I found the assembly to be relatively straight forward and got up and running within about 4 hours. I've spent some time getting a C compiler set up and have been writing short programs and even a game for it which has been great. If there's any negative it's that there weren't any jumpers included with the full-monty kit like I would have expected. Luckily I had a few floating about. Overall this is a great kit which I will recommend to anyone wanting to learn more about computing. Easy to build with good instructions. Lots of documentation on line and fun to tamper with. This is an excellent kit for the beginner, I put it together over a weekend - took my time doing it so that I understood what each of the parts did (or atleast how they connected). Never soldered anything smaller than a power cord before this, but started with the parts that the manual noticed as the easiest to begin and it all went sort of according to plan. Fixed most bugs by measuring for continuity using a multimeter and that was it. Highly recommend this kit for the beginner - for the most part because of the modular setup. 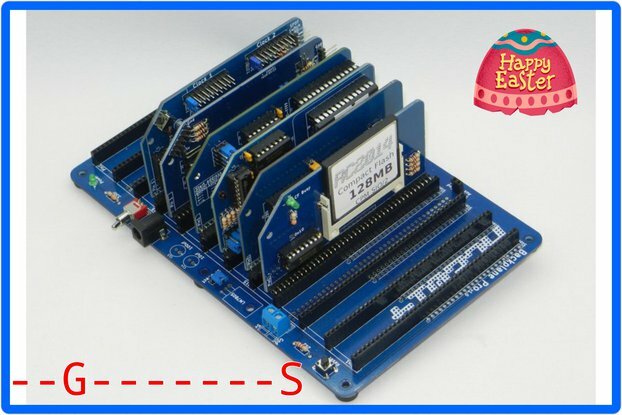 With other SBC (Single Board Computer kits) everything is jumbled together so it's hard for a novice to figure out how it works and what communicates with what, here all that is easy since each module more or less does only one thing. Do add the upgrade to backplane 8 since the main kit has too few slots to add anything yourself, and when done you'll want the option of making one or two modules yourself - bus monitor, joystick ports, matrix keyboard input, lcd out, simple sound card are just some of the things I've been dabbling with since putting together the main kit, so the slots will be used! Rc2014 with backplane 8 (I bought the Full Monty) is the best vintage DIY 8-bit computer available out there. I received all the components, several high quality blue PCBs plus the DIP chips and their sockets. Good packaging and documentation for a great design. Hours of fun guaranteed! Keep up the good work. Just an awesome kit of raw computing power! Playing around with it and studying the schematics makes the functioning of a "modern" computer so much clearer - it's no more a mystical black box with Facebook and Crysis in it. Thanks a lot Mr Owen! The assembly was a little tricky in spots. Even the online documentation including pictures which did not show resistors from the correct angle to distinguish them for the serial board. I also purchased the backplane expansion kit and was a little disappointed to see that adding the extra headers also required soldering in 30+ extra wire links on the backplane itself to enable them. I'd have preferred to cut traces to disable things than add that much extra soldering to enable the extra headers. The idea of a backplane with data and addressbus I had for myself. So this is perfect for someone like me who don't want to make all the PCBs himself. I made an "adapter" to my breadboard so selfengineering is easy. For example did I like Grant Searles solution of making a video and keyboard-serial-intercace in use of two uC smarter (and cheaper) then using a Pi Zero. Good to see, that required CP/M components are on their way. As a wish I would also like to have a more detailed documentaion. Especially for CP/M. And the ideas of S.M. Baker should also find their way to the project (Floppy-Controller, Single-Step-Timer, etc). Very good project with a lot of possibilities. Thanks for that. RC2014 arrived pretty fast and was well packaged. Assembly while tedious (a lot of soldering) is quite simple and straightforward. It worked fine from first power up. Now I'm relearning BASIC and waiting for some parts to do some mods. I am far from an expert when it comes to these retro microcomputers, but when I saw this kit I knew it was exactly what I needed to help learn more. After researching older computers like the Altair 8800, I was sorely disappointed to learn that originals could be tough to find, and even replicas could cost hundreds of dollars. I'd seen people construct their own homebrew computers, but this was certainly beyond my own capabilities. On discovering the RC2014, I was immediately struck by the similarities in design between it and its vintage microcomputer predecessors; I realized that it would be a perfect opportunity to not only learn about such computers, but also to practice soldering and general electronics skills. I purchased the Full Monty kit, and found it to be wonderfully simple for a newcomer. Soldering headers is obviously not the most stimulating task, but is an excellent opportunity to practice your technique, and there are enough other components to keep things interesting. The instructions included were very helpful, and while the lack of step-by-step directions might make assembly a bit challenging for some less-experienced buyers, I would urge you not to be dissuaded by this; there is an abundance of useful information available in the RC2014 forums to assist you along the way. After assembly, I connected it to my laptop using the standard FTDI header and PuTTY, and it worked like a charm! The modular nature of the kit and abundance of expansion slots (especially with the 8-slot backplane) fairly begs for customized peripheral cards, and I know I've already got plans in the works. There is also an active community, with many people contributing their own customized hardware and software. I would highly recommend this kit, not only as an entry point into microcomputing, but also as an inspiration for those looking for a new project. A great kit for anyone interested in retro-computing! As a teenager in the 80's, I owned and had access to a variety of 8-bit computers, from Commodore VIC-20s to the venerable Kaypro II. All of those old systems are long gone, but they hold a special place in my heart. From the moment I saw the RC2014 in Scott Baker's YouTube video series (https://youtu.be/5lsjD1cuq5Y) I knew I had to have one. I purchased the "Full Monty" version, because for me sourcing all of the individual components would have been way too time consuming. The kit arrived quickly from the UK (I am in the US) and was well packaged and protected against damage in shipping. The PCBs are of extremely high quality with a beautiful glossy finish and sharp, crisp silk screening. The only criticism I have is that I feel like the IC sockets could have been a little higher quality. They seem to get the job done, but for the price of the kit, I would have liked to have been provided with better quality sockets. The kit went together easily and quickly. I am by no means an expert with a soldering iron, and it took me about six or seven hours over several days to fully assemble the kit. I would recommend a soldering station with a temperature controlled iron for anyone considering purchasing one of these kits. I'm sure assembly would go just fine using a simple pencil iron, but a little better iron will make it go a lot more smoothly. I found the included assembly guide simple and easy to follow. It doesn't provide super detailed instructions, but really the kit is simple enough that individual step-by-step instructions aren't necessary. With over 600 solder joints, I expected at least one poor connection or bridged pin, but amazingly my computer worked perfectly after assembly and I didn't have to do any troubleshooting. The assembly guide provides some simple troubleshooting steps if you were to have any issues. Overall I highly recommend the kit for anyone interested in building a simple 8-bit system. It was fun to assemble and is easily expandable. 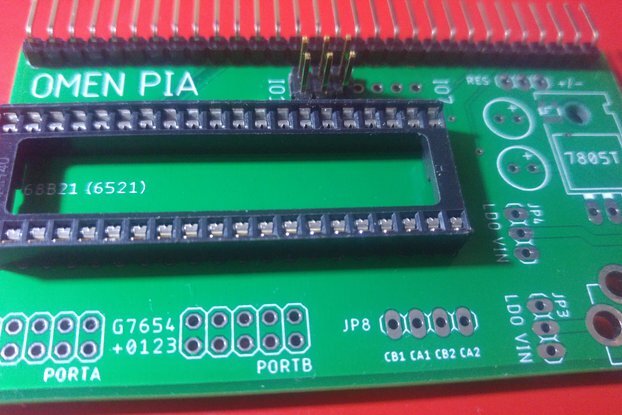 I plan to purchase several more add-on boards for the system in the near future. Just wish the documentation was a little more explicit for the benefit of people like me that are computer savvy but have not taken on a project like this before. More hand holding documentation would be beneficial. Apart from this the product is great and I am look forward to completing this project. Excellent kit, fun night soldering hundreds of pins! I had been writing a z80 emulator in my spare time, and figured I should have the real thing up and running. This kit was a fantastic way to get going without having to lay out everything myself. Kit came with all the parts I needed to get BASIC booted, after I figured out a mistake I made earlier in assembly. The documentation is fantastic and even shows the color bands on each resistor. However, the included documentation in black and white does make it hard to work out the colors. It would be nice if the color bands were described in words as well. The boards themselves slot in to the backplane very close together. I thought I would be clever and solder on the FTDI header as a right angle header on the reverse side of the board, and when I went to put all the boards in the backplane, it didn't fit! My fault for going off script, but it would be nice if each board was aligned to give equal spacing between boards. Assembly took about 6 hours, taking my time and chatting with friends, including finding the mistake I made (always make sure your grounds make sense!) Overall a fantastic friday night. Items arrived today. Items are well packaged. Overall quality of boards and the components are great. Well i am about to hit the iron on this project and looking forward to playing with this unit. I bought this to learn more about the hardware level. Ultimately, I want to program it in assembly. The kit itself went together nicely and took me about 3 hours of careful soldering to do the base build. I hooked it up and it worked flawlessly. The packaging was excellent. The instructions could use some finished product pictures, but they are available on the website anyway so no big deal. All in all I am thoroughly enjoying it. Note. The communications rating is not real. I did not need to communicate with anyone on this. Very nice way to get back into "real" computing. Now to grow the system and continue learning! Thank you for such a great kit! It's fair to say I've got a Z80 obsession, owning various Z80 based computers already (Spectrum, CPC464, Epson PX-8, Master System), so this kit looked to be right up my street! I collected from Spencer at the Derby Maker Faire, where he gave me a bonus Pi Zero Serial Terminal. Cheers! Be aware that the documentation doesn't do too much hand holding but this invites you to learn about the underlying design during construction. Excellent service, will purchase from vendor in the future. Excellent service, arrived promptly, would purchase from the vendor in the future. Looking forward to building it over Christmas. I must admit to a background in the Z80; so the idea of recreating my early days with a new kit was hard to resist! This was simply brilliant. I soldered it together easily, and it worked 'first' time - after a quick inspection with a magnifying glass to find a missed solder joint. About the only thing I can complain about is that the provided pages of documentation are black-and-white prints of a colour web page - and because those colours indicate various aspects of the build, the web pages are far more useful than the provided documentation. I also bought extra modules for the kit, and no documentation came with those - which was ironically a good thing, because searching for those missing pages clarified the existing pages tremendously. One thing that the documentation mentioned that I will caution about: you can definitely decide how to assemble the individual boards. But be warned about how they will be placed on the final backplane - you can cause them to interfere with each other if they "hang" off the backplane the wrong way around. Still: I don't care. I got mine working, and have had fun with the number of programs I've already written! I learned the rudiments of coding on the inbuilt BASIC of a C64 and purchased this kit as a gift for my 13 year old proto-hacker son. The carefully thought out design of the RC2014 makes it easy to build and troubleshoot and the simplicity of the design makes repairs, expansion and substitution of components very accessible if you have a reasonable general knowledge of digital components / can read a spec sheet. The build is simple and the instructions easy to follow - as far as they go. This IS NOT a fully integrated learning package that will teach you either "retro-computing" or digital electronics. 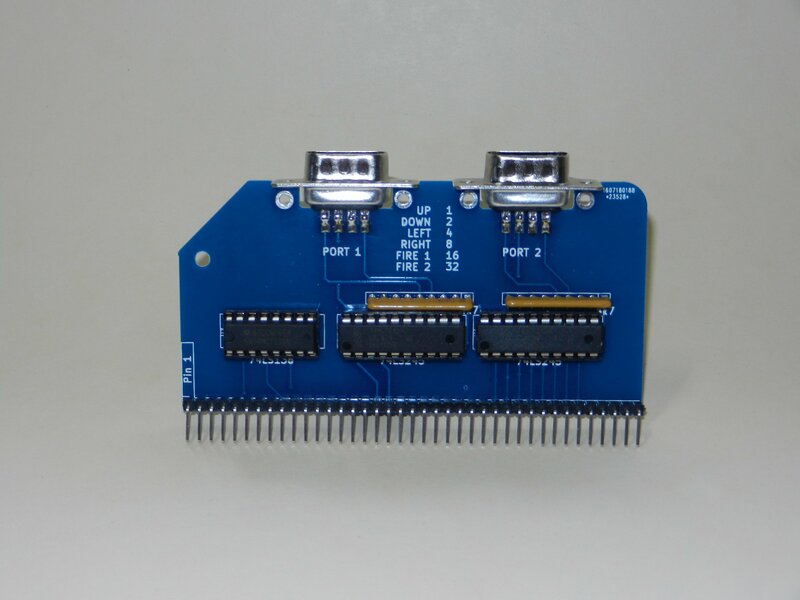 This IS a very elegant piece of hardware that can be used to explore Z80 resources already on line and as a tool for learning about the underlying principles and hardware. Although there are some links to get you started and an active forum, it is pretty much up to the builder to find the resources necessary to teach him/herself. This is a good thing - not a criticism! The short of it is I've ended up ordering a second RC2014 for myself. Bought the kit for my wife who is learning electronics and programming. Kit was missing a few resistors and an IC socket. Documentation was greatly lacking. Low quality BW print out with only the most basic information to solder kit together. Does not explain details about the kit and component selection. Jumper settings are given to you and your told if you don't know what they mean don't bother. Not a very good kit for someone's trying to start out in the homebrew crowd. I'm sorry to hear you were missing some parts, although I'm disappointed you didn't mention this to me to give me a chance to rectify it. Yes, the documentation posted out with the kit is black & white, but as it says (and also on the shipment email) full documentation can be found on the RC2014 website which is in full colour and with high res photos and a lot more info. I quite enjoyed this. I found that getting the kit with the Pi terminal was good for giving the project the feel of an independent computer. I had an TRS-80 compatible computer in my youth, and always planned to build a Z80 from scratch, yet it never happened until now. The kit is very well made: after a few hours of soldering, the parts can be plugged into the main board, and behold: the basic prompt on the serial terminal. Hopefully the plans for SD-cards work out, so that we can run something like CP/M. Thank you for making such a brilliant kit at a very affordable price. This kit was an excellent purchase. It was shipped promptly and packed securely, and Spencer answered e-mails immediately. The components went together smoothly with a minimum of hassle and the unit worked well. Right now it is just a counter, but with the addition of a Pi (when someone has one in stock) I can see some interesting projects ahead. Will be ordering again no doubt. Thanks Spencer! This was a pleasure to build, I can't wait for a video module. If you are into retro computers or learning how computers work and have a little bit of soldering experience then this kit is for you. Very well designed kit. It was a pleasure to build it and was pretty easy (but I took my time). I ordered more parts (Pi Zero Terminal) to complete the computer. This thing is a ton of fun to build and play with if you want to build a computer from scratch, remember the good ole days, or just get a lot of practice soldering through hole components. Spencer does a great job of making himself available for answering questions, and the community is surprisingly active. Very much recommended, and doesn't take as long to assemble as you might think. I'm not a hardware guy, usually I'd rather buy a Pi and Hat and stay away from anything lower level. However something about the RC2014 caught my attention, the simple kit form, through-hole soldering, proper PCB, simple design, actually building a working computer and all at the same time as enjoying the experience. I can't wait for more boards to come out! Asked for this kit after seeing Spencer's 2016 video on the Computerphile YouTube channel. It coincided with a growing desire to immerse myself in early 1980's computer architecture, without a lot of free time (or knowledge / skills) available to act on it. Got the full monty version. It arrived very quickly after ordering. Very happy with the kit and results. Really nicely designed and put together. I can now spend time exploring the electronics, or the z80 assembly for the bootstrap / basic code at my leisure, or move onto something more complicated. I hadn't soldered anything for about 20 years but it took me only a couple of free weekend afternoons to get it going. To assemble it just needed a cheap soldering iron with a small tip (40W soldering kit bought from Maplin), some small wire cutters and some work space. Overall, took 2 x ~3 hours sessions, with the purchase of an FTDI cable (5v signalling version) in the middle (bought from RS). The cable was automatically supported by my Windows 10 laptop and PuTTY worked fine as a terminal. The docs that come with it are basic and black and white, which makes them a little tricky to read in places. The information is duplicated in colour on the rc2014.co.uk website (along with lots of other information) so it's quite easy to work out what's going on and check things like the resistor colours. There's also the Grant Searle website for the z80 computer that the kit is based on for a bit more depth about how the addressing works. 1) The logic chip numbers on the instructions/schematics didn't quite match up with what I was sent. A quick check on wikipedia confirmed the ones I'd been sent were correct (and the ones mentioned on Grant Searle's site too, with some reasoning there about why). 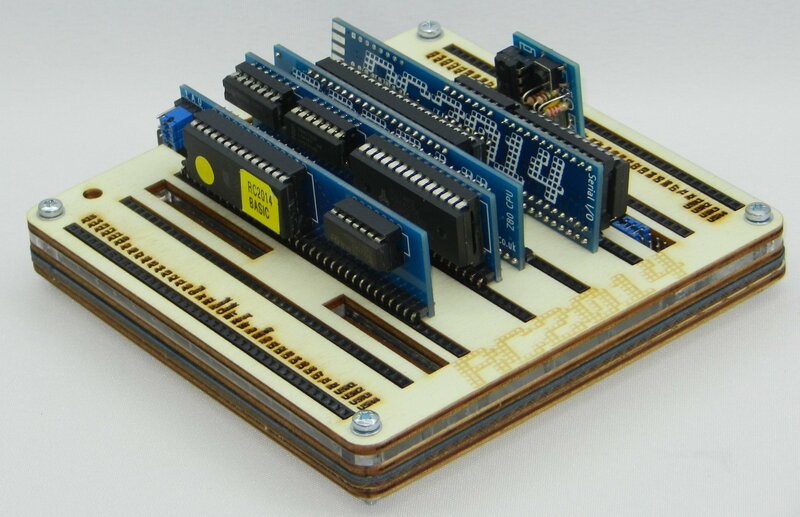 2) The backplane board is designed for further expansion. Because it wasn't completely spelled out, I had to read things a couple of times to confirm I didn't need to solder any horizonal links on the bus for the basic assembly. Also, didn't need to do anything about external power (since I had the FTDI cable) so didn't bother with the barrel connector. 3) The reset button can be soldered to the backplane or the clock board. I elected to put it on the backplane, but either I incorrectly soldered a 2k2 resistor unnecessarily to the clock board, or the kit I was sent was missing one 2k2 resistor. It seems that the resistor is not critical - reset worked without. 4) All of the right-angled connectors are too long need to be cut down. The pins that have been cut off are used on the clock board. Same deal with the jumper connectors. I was glad I'd invested in some super-small cutters: I suspect the ones I had for household electrics would have been too big. An Easy & Fun To Build Z80 Micro. Highly Recommended! Building a backplane based Z80 microcomputer seems to be the project perpetually on my "back burner." With several Z80's of varying vintage, a motley collection of SRAM chips and plenty of 74 series logic in my "junque" box, I was sure there was a micro in there just aching to get out. But as with everything, it's a matter of competing priorities. I still had to overcome the lack of cheap ISA prototyping boards to go with the passive backplane I have on hand. And without a PROM burner, I found the mechanical construction of a switch panel for loading instructions one at a time a bit daunting. With the RC2014, I had the perfect opportunity to scratch my hardware retro-computing itch for less that it would cost to lure a working machine out of my assorted parts. With the right tools the kit goes together quickly and there is nothing especially tricky about it. If you don't have experience soldering at the .1 inch spacing I would recommend practicing on some sacrificial material before committing the iron to your RC2014. Using a FTDI-to-USB serial cable, the micro came to life the first time power was applied and there I was in BASIC, ready to code like it was 1979. Like the systems it's reminiscent of, the modularity of the '14 lends itself well to experimentation and expansion. The great thing about computers like the RC2014 is that it's possible for one person to understand the whole thing, hardware & software. Even today's Raspberry Pi's and Arduinos while excellent for learning and building, have so many layers of abstraction that it's really hard for a normal person to grok to the whole thing. Let's not even get into desktops and servers, those things left me behind somewhere around 80286. The only little hiccup, if you want to call it that, was that I had to order some jumper shunts (I opted not to hardwire them). Turns out modern PC's aren't packed full of those little things like they were in the old days. You can find plenty of emulators online that perform the functions of the Z80 systems of old, but that's not the point. The point is to build something, have it work, and optionally understand how it works. 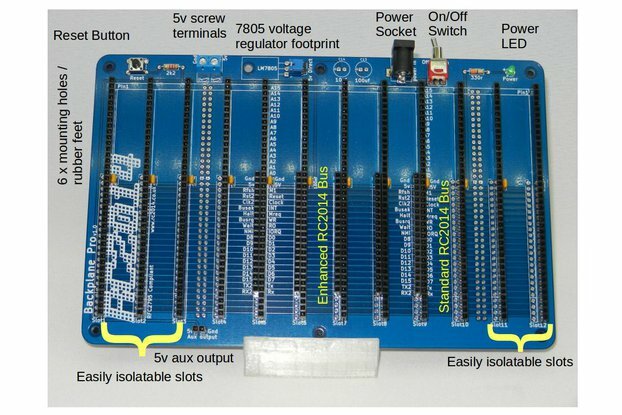 The RC2014 provides that opportunity for you if your interested in (or nostalgic for) early microcomputing or if you want a platform for understanding stored program computers from a hardware and software level. Note: I gave the printed documentation an "Ok" rating only because 1) I grew up building Heathkits and 2) The schematics are reproduced so small given the available space that they are nearly impossible to read. I had to look at the online versions to actually read them. However, the printed assembly guide is quite sufficient for building a working computer. P.S. Spencer seems like a real nice fellow. I wish him success with this project and look forward to seeing where he takes it. Excellent service, would purchase from the ventor in the future. Vendor was very responsive to emails. My kit arrived today! I spent a couple hours putting it together, and it works! Assembly-wise, the RC2014 is dirt-simple to make. All components are through-hole, all chips are in sockets, and the machine is split into six self-contained modules. The documentation assumes a little bit from the user, like knowing that a 74HCT04 is the same thing as a 74LS04. One component was missing, a 3k3 resistor, but the value doesn't seem to be that vital, and I have a resistor kit I pulled a 2k2 out of. If you're considering this kit those probably aren't big issues for you. Other than the missing resistor my only real complaint is that shipping didn't have a tracking number, but, it got to me (in the US) in about a week and a half, so I wasn't waiting too long. You'll also want an FTDI cable, or all it will do is turn an LED on. With a cable so you can talk to it though, the thing is an actual computer, not just a microcontroller blinking some lights or something. And you can design new components for it! The backplane board has three empty slots, and everything is clearly labeled. If you've built blinky-light kits, graduated to microcontroller-doing-something-cool kits, and are wondering what's next, this thing is it. Stumbled across this kit when looking for a new direction, and it has led to my burgeoning interest in Z80 retrocomputing. The kit (full monty) was delivered with all parts required. There are two options for building the Reset circuit, either on the Clock PCB or on the Back Plane PCB. I chose to build it (solder button and resistor) on the Back Plane as it will get a hammering and is better located there. Some of the instructions are very thin. But educated guesses can be made. The ROM board is delivered as the 8x option, but there's no mention of where the 3x address jumpers need to be set (all to 0 btw). This is obvious in hindsight, but it could be clear from the beginning. Possibly some of the documentation angst could be avoided by referring more obviously to Grant Searle's web site from which the design of the RC2014 originates. 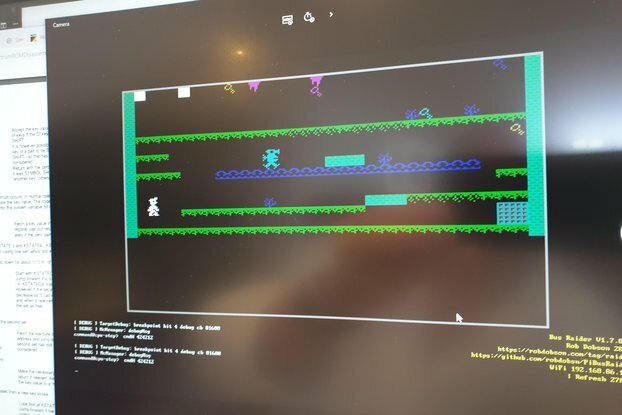 The connection to Grant's 7 chip Z80 machine is made in the introduction, but it could be made more obvious, particularly regarding the use of the BASIC interpreter once the RC2014 is successfully constructed. I'm very happy with the outcome. Highly recommended. This is a great DIY kit for those who would like to get into retro computing, Z80 assembly or to just learn the basic organization of a simple computer via hands-on experience. It requires a fair amount of homework getting all the ICs and other components you will need gathered together if you buy just the bare kit, but that is part of the fun. Also make sure to reference the schematics, photos and other docs on http://rc2014.co.uk/ as there isn't a compiled build guide that I am aware of. However, there isn't a huge need for it to be honest. The only issue I had was not knowing where to set the jumpers for the ROM board (0000-1FFF, of course). Also, if you want your kit to turn out like the one in the photos bear in mind that all of the boards do not face the same way when plugged in to the baseboard, but you'll want to solder the header pins to the modules all in the same orientation or else you may get a surprise when you try to plug the clock module in and find it hits the ICs on the RAM module. Just take your time and triple check everything before you start soldering. One last tip, unless you get one of the new custom made backplanes use some masking tape or painter's tape to mask off the perfboard in nice straight lines on either side of the pins when you solder the female headers on to keep the bottom of the board from looking all sloppy. If I get the time I will write up a guide based on my experiences and send to the store owner. I just got my hands on a EEPROM programmer and a blank EEPROM in order to do some assembly language programming. The author/store owner was very helpful in pointing me in the right direction for getting started on that. At present the Computer is just a processor, ram, rom and serial port. It runs a sophisticated Basic language and should make a great experience to someone who loves DIY in electronics, Basic and machine language. The modular design reminds me of the old S100 computers of the 1970's and 80's. Be very careful if you do build one to make sure the cards are the right way around before applying power with the pin 1 symbol at the right side and the reset/clock board is offset by the correct amount. Interesting product. Missing dox when comm w other systems. How do enter/output data into/from the system? Dox of this would be very useful. - Do you have a list of methods to perform if/when it is not working? I was working very hard in the early 80s with this Z80 and to make it run under control we had to use an emulator. Do I need one now? I could probably find one on eBay, wright?